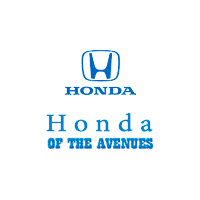 You might know that the finance department at Lou Sobh's Honda of the Avenues handles leases and financing, but do you know what else they do? It’s actually a lot more than you might think. This can be anything from warranties to trade-in values. Our financial services department helps with a number of different things related to making sure that our customers are taken care of and have a financial plan that works with their lifestyle. Keep reading to learn more about the specifics of what else the finance department can help you with. Vehicle manufacturers often give rebates toward the purchase or lease of a car. College graduates and military personnel and veterans are among the most common recipients as an appreciative gesture for the work they’ve done. Car manufacturer rebates can save you considerable money on the cost of a new Honda. An extended warranty like the Honda Care Extended Warranty picks up on repair coverage for your vehicle for a designated number of years after the original manufacturer’s warranty expires. The manufacturer’s warranty expires when you reach either a specified mileage on the vehicle, or have it for a number of years. However, an extended warranty often needs to be purchased before the manufacturer’s warranty expires, and if you can buy one afterward it is often more expensive. Your primary auto insurance may not be enough to cover the cost to you if your vehicle is declared a total loss due to circumstances like accident or theft. The settlement is often based on the car’s market value, which may be less than the balance owed on your finance or lease contract. This is where GAP—guaranteed auto protection—insurance comes in. GAP helps to cover the remaining balance that may be left over after settlement with your auto insurance. It’s always best for you to know as much as you can about the options available to you regarding auto financing. From buying and leasing to special services and programs for people with bad credit, there are several choices to consider when acquiring and maintaining a vehicle. If you’re interested in learning more about the financial services provided at Honda of the Avenues, including getting your Equifax credit score, contact us today or stop by our dealership at 11333 Philips Hwy, Jacksonville, FL 32256 for a test-drive. We look forward to serving customers from Marietta, Acworth and the Greater Atlanta Area.